Search Results for "san miguel de allende"
An incredible flock of birds flying around famous San Miguel De Allende parish church Parroquia de San Miguel Arcángel. Slow tilt motion from bottom to top. 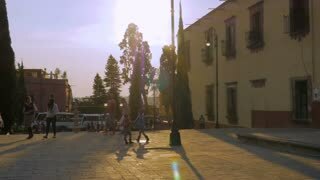 Stunning time-lapse view of Parroquia de San Miguel Arcángel in the heart of San Miguel De Allende, Mexico. Fast moving clouds surrounded by round shaped trees. 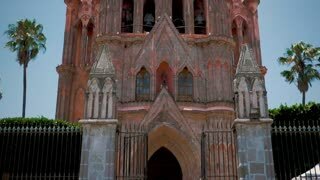 A tracking shot of the Temple of the Oratory of San Felipe Neri in San Miguel De Allende, Mexico. Drone shot of a church tower of Oratorio San Felipe Neri and the beautiful town of San Miguel de Allende, in Guanajuato, Mexico. Colorful sheets dangling in the wind on a Mexican street in San Miguel de Allende. 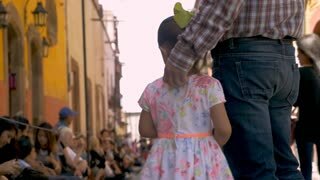 Group of people and two tall figures marching in San Miguel de Allende on Day of the Death festival. Tourists and locals being interested by a narrow streat nearby Quebrada in San Miguel de Allende in Mexico. 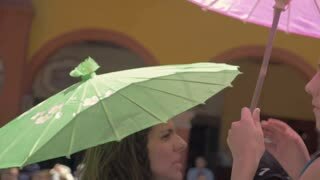 Group of women in Day of the Death costumes in San Miguel de Allende, Mexico. 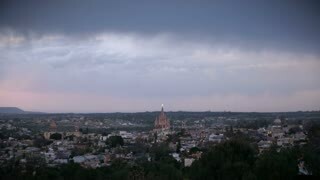 A stunning time-lapse scene of a center area in the city of San Miguel De Allende, Mexico. The Sun is covering the whole city area as it rises in the morning. TIMELAPSE: A colonial city street of San Miguel De Allende from a rooftop. Clouds are passing by, people and vehicles – all in one flow set against the background of historical cathedrals. 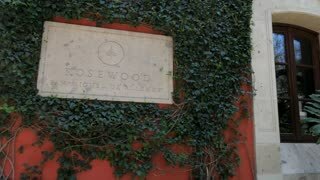 Walking in San Miguel de Allende colonial Streets. Mexico. Steadicam of the cross in the jardin at the Parroquia in San Miguel de Allende going around this religious monument against the bright blue sky and iconic church. 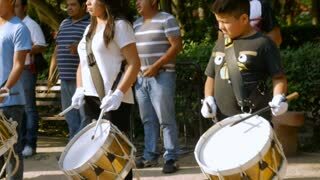 SAN MIGUEL DE ALLENDE, MEXICO - CIRCA MAY 2016 - Young band members practice their drums in Benito Juarez park in slow motion. SAN MIGUEL DE ALLENDE, MEXICO - CIRCA MAY 2016 - 5 young boys play soccer in a plaza all wearing the same outfit. Aerial shot public transport buses in the streets of San Miguel de Allende, in Guanajuato, Mexico. 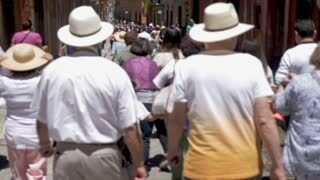 Dead people people marching on Day of the Death in San Miguel de Allende in Mexico.